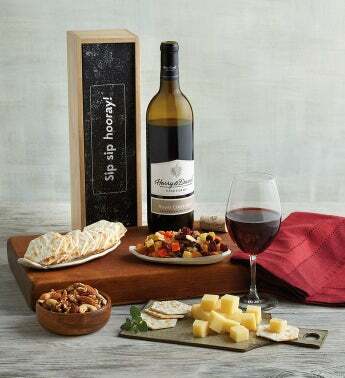 Make someone's day with this unique gourmet gift that arrives with a fun message. 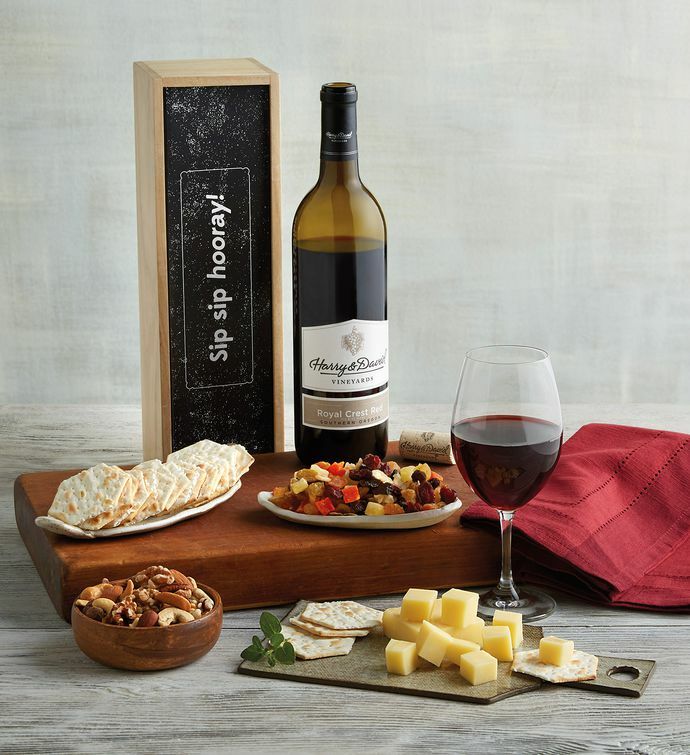 Inside a sturdy wooden crate is a delightful variety of tasty snacks like dried fruit, mixed nuts, crackers, and cheese, as well as a bottle of our exquisite 2015 Harry & David™ Royal Crest Red. This calls for a celebration.